"Western beauty is radiance, majesty, grandness and broadness. In comparison, Eastern beauty is desolateness. Humility. Hidden beauty." So says kendo sensei Shozo Kato in a video by The Avant/Garde Diaries. "Desolateness" is used in the subtitles when the Japanese Kato actually uses is wabi-sabi 侘（わ）び 寂（さ）び. There's obviously more to this concept. In his book, Wabi-Sabi for Artists, Designers, Poets & Philosophers, Leonard Koren describes it as occupying "roughly the same position in the Japanese pantheon of aesthetic [that is, the philosophy of beauty] values as do the Greek ideals of beauty and perfection in the West." All sorts of attempts have been made to encapsulate the feeling: "rustic," "desolateness," or "acceptance of transience and imperfection." Unfortunately, like many philosophical concepts, wabi-sabi cannot be easily explained or translated. But that's no reason to give up. It is a significant concept in Japanese culture, and one that can be appreciated everywhere. But before we continue, it should be noted this philosophy doesn't suit attempts to be distilled or understood. So remember the statements made are based on personal thought and opinion, be that of others or my own. Rather than a concrete "wabi-sabi definition," I hope to give a broad-strokes, consciously incomplete introduction. To promise anything else wouldn't fit with a philosophy that emphasizes incompleteness and imperfection. Just because the concept is difficult to understand, there's no reason we can't look at the words' changing meanings to get a foothold. Let's start with wabi 侘（わ）び. Originally, wabi's main feeling was of loneliness. The Japanese have a knack for thinking up words that describe specific feelings, and this is one of them. What distinguishes wabi from standard loneliness is this feeling comes from living in nature, far away from society. Imagine a sad, solitary hermit, and you're on the right track. A hermit's life even used to be called wabizumai 侘（わ）び 住（ず）まい. Sabi 寂（さ）び, on the other hand, is a bit simpler, It has been described as "chill," "lean," or "withered." It shares a pronunciation with 錆（さ）び (to rust), and this connection with degradation is not coincidental. The WaniKani elite (Level 56, to be precise) will recognize the kanji from sabishii 寂（さ）しい (lonely). In the 14th Century, these connotations began to change. The hermit was no longer a sad outcast, but a wise man freed from the trappings of an increasingly decorated and artificial Japanese society. The words drifted closer together until they became interchangeable or, more commonly, combined. Wabi-sabi began to imply rustic simplicity in a positive light, or the grace that comes with age and use. That's not to say they are always combined. There are many who argue the two words should not be combined. They feel the combination creates a snappy phrase, diluting the separate meaning of each. It's worth noting that in earlier thoughts on this aesthetic, wabi is spoken of much more, and tends to be the base for a lot of related words, like wabichadō 侘茶道（わびちゃどう） (the wabi-sabi style of tea ceremony). To my mind this emphasizes the humility aspect. This is a philosophy for people, rather than just a style of objects. 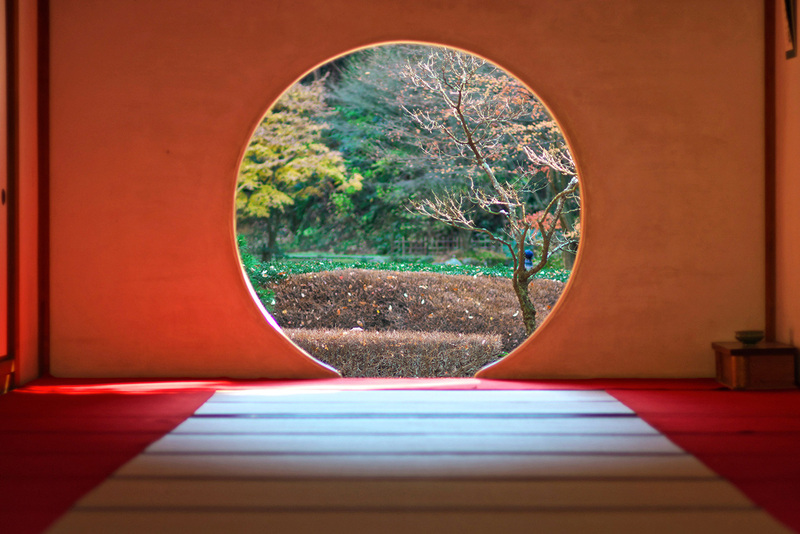 The two coming together can be seen as a hint that the philosophy (wabi) can be better explored, described, and understood by using the aesthetic (sabi). The nature of philosophical teaching means concepts like wabi-sabi were almost never written down. Instead they are communicated personally from master to student indirectly. The reasoning behind the master's riddles is to guide students to their own understanding, rather than nailing down a concept that is naturally fluid. That hasn't stopped people from trying, though. And we can learn a lot by reading other people's attempted definitions. Wabi-sabi is an intuitive appreciation of a transient beauty in the physical world that reflects the irreversible flow of life in the spiritual world. It is an understated beauty that exists in the modest, rustic, imperfect, or even decayed, an aesthetic sensibility that finds a melancholic beauty in the impermanence of all things. An active aesthetical appreciation of poverty … To be satisfied with a little hut, a room of two or three tatami mats, like the log cabin of Thoreau, and with a dish of vegetables picked in the neighboring fields, and perhaps to be listening to the pattering of a gentle spring rainfall. In physical objects you can expect the use of natural materials in a rustic style. Imperfections are not from sloppiness but the nature of the materials and process, or the use of the object itself. Objects will be personal, humble, and functional. As a worldview, attention is paid to transience, harmony with nature, and attention to the tiniest of details. "She lived in Versailles and would occasionally pretend to be a shepherd. But whereas in Western thought that's a very artificial, false and even irresponsible thing to do, in Japanese thought it's a very good thing to distance yourself from all the finery of the court and disappear into a self-consciously rustic space." More than anything he stresses this philosophy is a deliberate choice. The samurai and wealthy merchants had the option to drape gold over everything (sometimes literally). But they chose to use simple tools and architecture instead. Translation…can at its best be only the reverse side of a brocade,—all the threads are there, but not the subtlety of color or design. They argue that trying to define the philosophy in physical terms "is like explaining the taste of a piece of chocolate by its shape and color." And I'm inclined to agree with them. 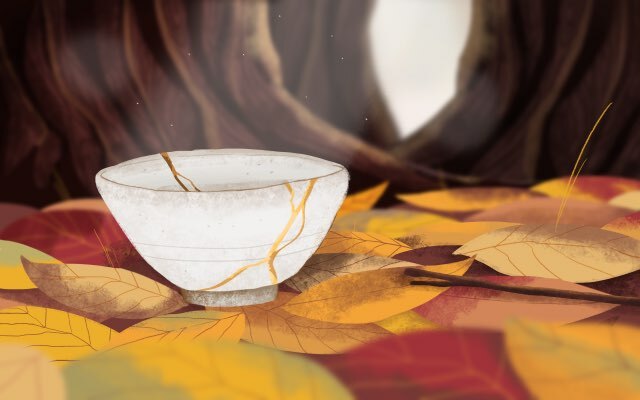 While many will think of wabi-sabi as an aesthetic (and rightly so), it's important to know a little about its religious connections, particularly with buddhism. We can link it to the "Three Marks of Existence," or sanbōin 三法印（さんぼういん） that are described in Buddhist teaching. Roughly, they describe how all things have impermanence (mujō 無常（むじょう）), suffering (ku 苦（く）), and emptiness, or absence of self (kū 空（くう）). Buddhism tells us wisdom comes from making peace with these marks, as they are intrinsic to our natures, and wabi-sabi can be seen as a way of practicing this peace and acceptance. Impermanence has probably the clearest link: one embraces the wear, tear, and sometimes damage that comes with age. One accepts an object will change as they use it. Suffering too can be linked to damage, again in the acceptance that wear and damage is possible and likely as part of normal life. Absence of self is the hardest, but I would argue we can find this in the appreciation of objects as a process or state, moving either from or towards nothingness, as Koren suggests. Our use or contact with a thing can define the thing itself for that moment. While this contact may leave a mark it will never fully define an object. The soup bowl of today may become a drip catcher tomorrow if a hole develops in the roof. Prof. Screech says that while wabi-sabi isn't formally considered religious, it's useful to view it as parallel, at least, with Buddhism and especially Zen Buddhism. Here we get the emphasis on meditation, but it's a short jump from this to seeing the fantastic temples as distracting or even inhibiting. Even though there are very wealthy Zen Buddhist temples with famous abbots in them, the idea is not to put any special store by them. That all fits in very well with wabi-sabi, but that doesn't mean wabi-sabi has to be religious in all contexts. It's like a venn diagram with overlaps, but they're not complete. 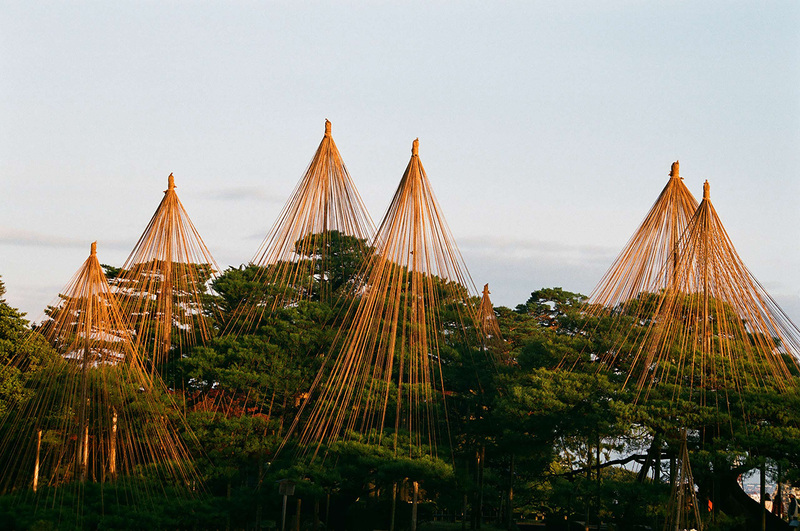 Buddhism isn't the only connection to this philosophy, of course, given Japan's rich history of religious and philosophical exchange with the mainland. We can see hints of appreciation for simplicity in 9th Century Chinese minimalism. Taoism emphasizes harmony, naturalness, and simplicity. If we look at the later-coined term mono no aware 物（もの）の 哀（あわ）れ as a description of the awareness of things' impermanence (literally, "the pathos of things"), we can see just how pervasive wabi-sabi has become in Japanese philosophy even if the name isn't there. History of Wabi-Sabi: Down to a T(ea)? When looking for a genesis of wabi-sabi, the best place to look is tea ceremony. And the man who most infused the philosophy and aesthetic into tea ceremony is Zen monk Murata Shukō (or Jukō), who lived from 1423-1502. In Shukō's time, the consumption of tea mostly involved the ruling class and detailed Chinese utensils (called karamono 唐物（からもの）). While the ruling classes liked to show off their wealth, and drink tea looking at the full moon, Shukō consciously used simple, Japanese-made goods like Shigaraki and Bizen pottery. He wanted students to appreciate the half moon, or one covered by clouds. He didn't use simple utensils exclusively though. And his attitude was more of coexistence than replacement of extravagant ceramics. Nevertheless, he is sometimes credited as the originator of the wabi-cha 侘（わ）び 茶（ちゃ） style of tea ceremony, which is marked by the use of these simple utensils. Flash forward a century to Sen no Rikyū (1522-91). This man is arguably the single most important influence on the tea ceremony, and the philosophy. Like Shukō, he was trained in Zen. But unlike Shukō, he took no prisoners when wabi-sabifying the tea ceremony. Despite first serving Oda Nobunaga (who started the unification of Japan), and his successor Toyotomi Hideyoshi (who finished it), he used tiny, hermitage-like rooms called sōan with entrances which required guests to remove their swords and crawl inside. In one, he compressed the size down to just two tatami mats (approx. 39 sq. ft./3.6 m2). Even the movements used to make and serve tea were stripped down to be as efficient as possible, removing the opportunity for a host to be too extravagant or fussy. An insistence on simple implements and efficient movement pushed wabi-sabi ideals into the spotlight. But it's a risky business to force warlords to use lumpy cups and cramped spaces for their elegant ritual expressions. Hideyoshi wanted a tea-room covered in gold leaf and other extravagance. Rikyū would be damned if that were to happen. It also didn't help that Hideyoshi came from a peasant background. Being told to use peasant utensils didn't sit well with him. So, at the age of seventy, Rikyū was ordered to commit seppuku. Tea ceremony may be the primary method of understanding wabi-sabi, but Prof. Screech also notes aesthetics come in many forms. 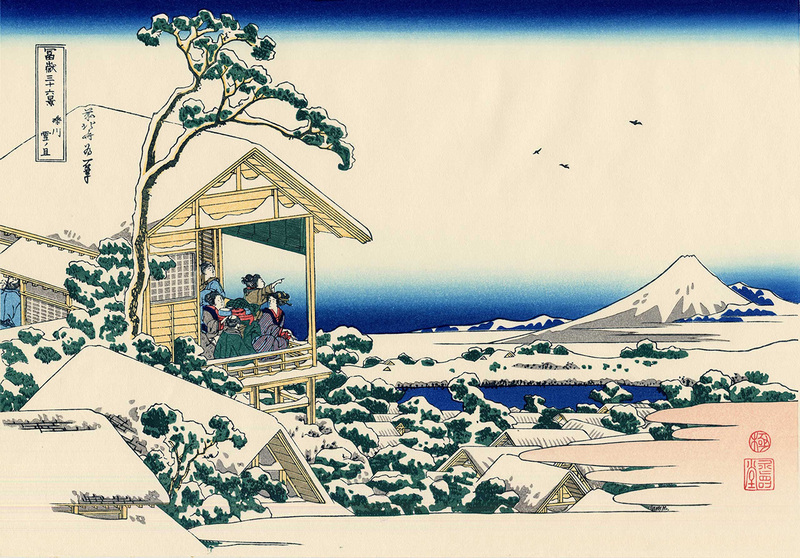 "For example," he says, "Japan always had the option of painting in bright colors, which was regarded as 'the Japanese way to paint,' or in black and white, which was regarded as 'the Chinese way to paint.' Tea rooms would often have 'Chinese style' paintings hanging up, which is all part of this notion of fleeing from standard worldly pursuits. The Chinese had that concept in a sense, so the Japanese borrowed it and it became part of wabi-sabi." Prof. Screech also notes the intense stratification of Japanese society around this time. There was a merchant class with money, but no power, and who weren't allowed to take part in elite activities. "Therefore, they tended to opt for escapist activities like ukiyo-e1 and wabi-sabi." The interesting thing here is these merchants often wouldn't have been allowed to indulge in the ostentatious decorations or rituals that the ruling classes displayed. By adopting these ideas they were able to imply noble birth by imitating the "escaping the world" part, even though they didn't have the same world to escape from. "The merchant class was enormous with all sorts of people in it, but when so many are excluded from courtly activities, it can sometimes be easier to say 'to hell with the whole lot, it's all meaningless anyway' and sit in a little hut to meditate," says Screech. The damage was done. From the Edo period on, wabi-sabi trickled down the ranks of society and has since become visible in all forms of Japanese expression. Some media lend themselves to it. But in others the influence is far more subtle and less intuitive. You've been given some of the history, now let's look at some examples. This first one is a common example. You'll see hundreds of sake cups made in a wabi-sabi-esque style. The cup in this photo is one of mine. I chose it because it exemplifies certain aspects of the aesthetic. Are they still part of the cup? Is the cup the same without them? 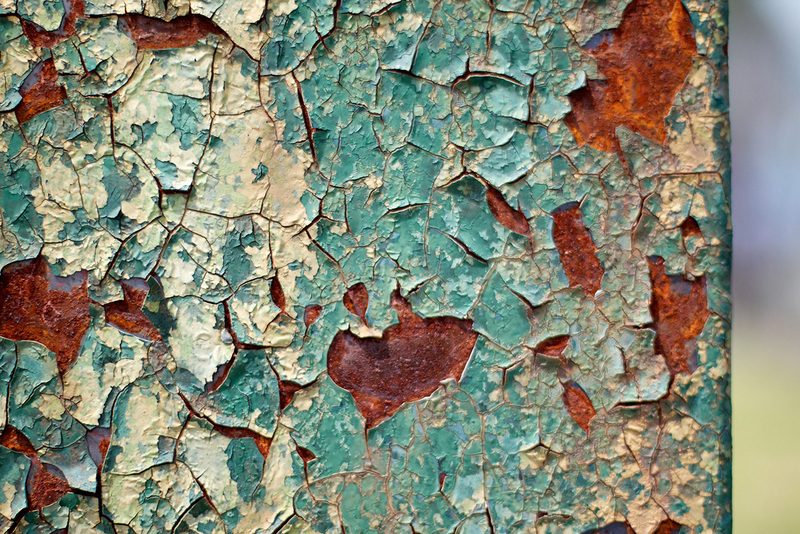 Wabi-sabi draws attention to these questions as part of the beauty of the object. I was once shown by an antiques collector that it is traditional to fill in such cracks with gold (a technique called kintsugi 金継（きんつ）ぎ), which draws attention to the history of the object as something to be celebrated rather than hidden or repaired. In his book The Unknown Craftsman, Soetsu Yanagi argues these imperfections are necessary for a full appreciation of the object and the world. Once again we come back to the idea of object's story. Despite the care taken, damage and wear is fundamental to the object itself. This requires appreciation to be drawn out of it over time rather than presented head-on. If cups can emphasize imperfection, seasonal displays can show transience even better. Japanese culture, from food to entertainment, remains highly seasonal. Experiences like hanami2 parties to appreciate cherry blossoms or hikes to view vivid red autumn leaves are perfect examples of the appreciation of fleeting beauty. Particularly with cherry blossoms, a single gust of wind can send a whole tree's worth tumbling down to be trodden into the dirt. Thus, any appreciation of such beauty must come with the awareness of its fragility. However, we know it'll be back next year, so our enjoyment can be relaxed rather than grasping at the moment. 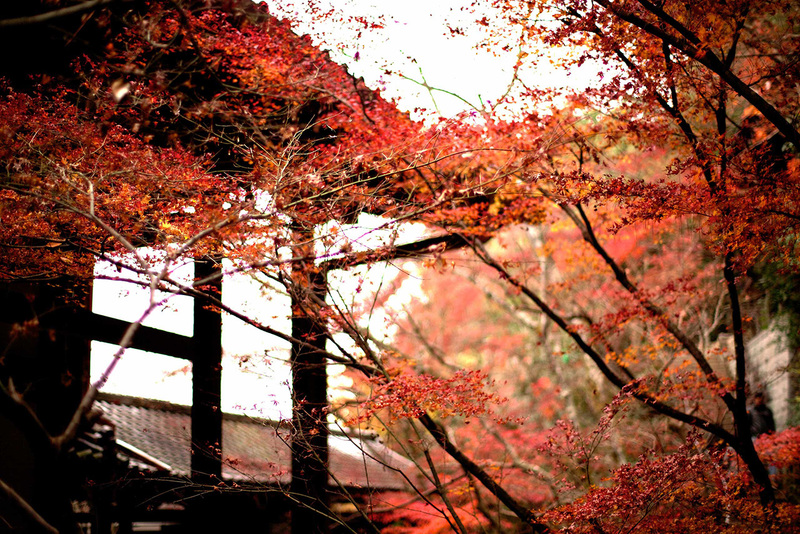 But autumn leaves, rather than sakura, are perhaps a better example of wabi-sabi, because of a story attributed to Rikyū, either as master or student. In the story, a student is ordered to clean his master's leaf-strewn garden. He does, but when he shows his master the pristine ground, the master shakes a tree in the middle of the garden, scattering its leaves all over the places the student just cleaned. This is a poignant reminder of the philosophy's strong sense of peace with natural events. You can see humility in the master's actions, as he scolds his student for trying to get rid of what nature has done. 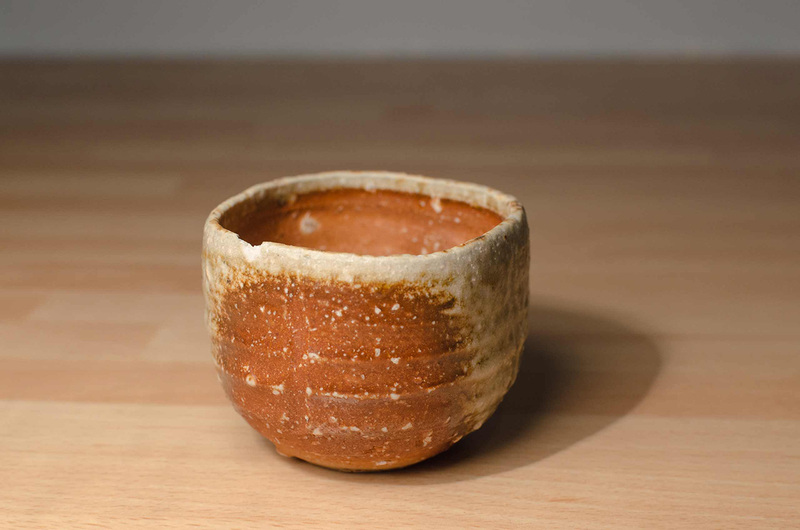 It also shows a sense of "clean, but not sterile" that is present in many objects appreciated in wabi-sabi. Finally, let's look at a more challenging example. Despite the gardeners' best attempts to control the pine, its beauty cannot be expressed as effectively or simply as Nature's work with the sakura. The latter shines brightly, if briefly, against the "dim" attempts of humanity to match Nature's grandeur. It's also possible Bashō is turning the whole system on its head. Sakura, while transient and natural, is loud, assertive, and the focus of social posturing. By contrast, the pine, with simple evergreen foliage, presents a quieter form of beauty. The gardeners are not trying to harness Nature, but rather working with her to nurture a subtler, "vague" beauty likely to be missed by all those people getting drunk in the park under the blossoms. Taking yet another step back, this very ambiguity can be aligned with wabi-sabi. As long as we keep thinking about the poem's interpretation, the work is unfinished. Not only that, but it requires our interaction in order to "become." Add in the seasonal reference to cherry blossom required by the haiku style, and you've got yourself a poetically perfect, three-line concentration of wabi-sabi art. Wabi-sabi can seem like a dated concept, and even defeatist: "If you can't make straight lines, learn to love the wonkiness." Nowadays, of course, we can make straight lines and many other shapes besides. The current design fashion is for defined edges, smooth or exactly textured surfaces as tool tolerances get smaller and computers get better at achieving perfection. Think of Tokyo: movement and noise spring to mind, not quiet contemplation. 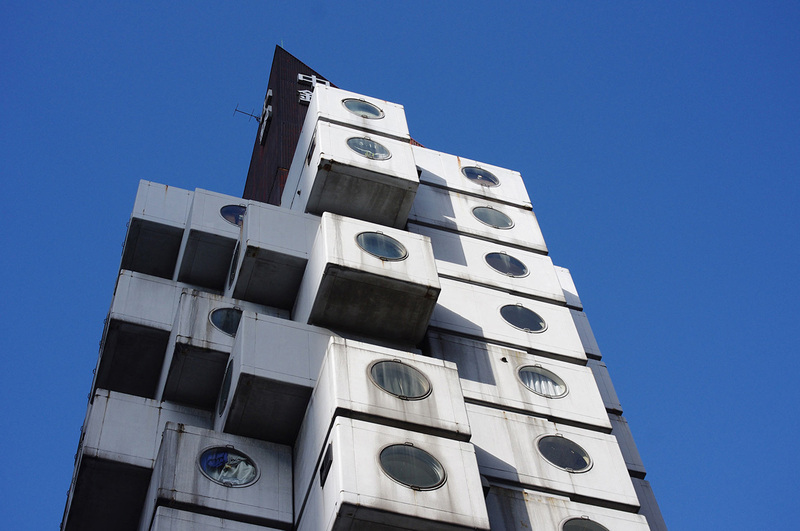 Buildings get grander and higher as the melting pot melts more Western influence into Japan. Has the philosophy died in the modern age? Of course not. Hanami and tea ceremony continue. Natural materials are used. Seasonal foods are enjoyed. And imperfection still exists. We just have to look closer to see it in our "perfect" creations. Koren uses the example of a razor blade: it can seem perfectly straight and sharp, but put one under a microscope and you'll see hundreds of pits, scratches, and imperfections. Wabi-sabi hasn't been lost, but it's been diluted into everything so you need a microscope, either physical or mental, to see it. The irony is objects that seem to most demonstrate the philosophical and aesthetic ideals are now some of the most expensive objects you can buy in Japan. By achieving such monetary value, they lose the humility that made them wabi-sabi in the first place. So the cycle continues. Prof. Screech's stress on wabi-sabi being a choice means achieving it, as it were, shouldn't involve spending so much. In fact, the point is to choose not to pursue expensive goods, and instead favor a more utilitarian approach. Prof. Screech describes it as "very close to minimalism nowadays, but it's minimalism with a conscious choice." In Marcel Theroux's attempt to find a definition of wabi-sabi, he received many apologies and explanations that it's simply unexplainable. But one man calls it the "Japanese heart." Like the Western world's relationship with Greek ideas of beauty, wabi-sabi is simply unshakable from Japan on every level. It celebrates the unavoidable imperfection in an imperfect world. Wabi-sabi is everywhere, you just need to know how to look. Juniper, Andrew. Wabi-sabi: the Japanese Art of Impermanence. Koren, Leonard. Wabi-Sabi for Artists, Designers, Poets & Philosophers. Yanagi, Soetsu. The Unknown Craftsman: A Japanese Insight Into Beauty. Ito, Teiji & Futagawa, Yukio. Classic Tradition in Japanese Architecture: Modern Versions of the Sukiya Style. Suzuki, Daisetz Teitarō. 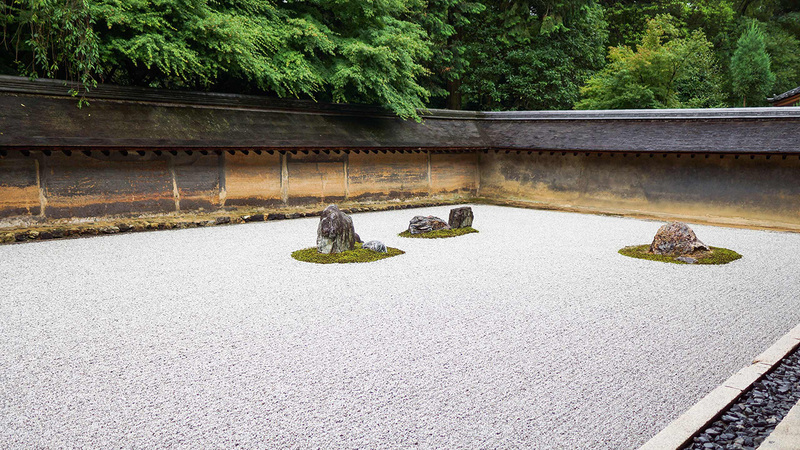 Zen Buddhism and its Influence on Japanese Culture.